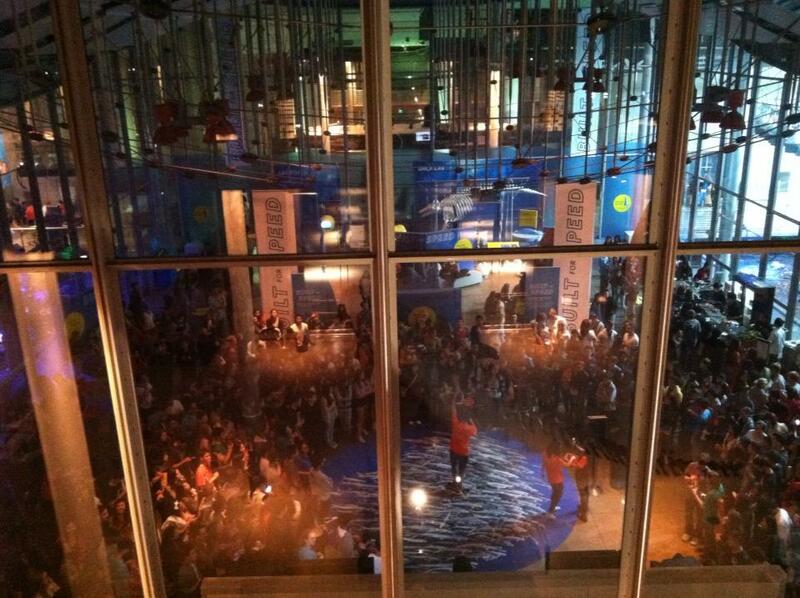 This Friday, we opened up our doors for our very first "Teen Science Night" at the California Academy of Sciences. Over 1000 teens from across the Bay Area converged on the Academy to learn about science, present their own projects to each other, socialize, and dance in our museum. This was part of a series of Teen Science Nights being put on by the Bay Area Teen Science (BATS) network, a collaboration between UC Berkeley’s "Surfin' the Solar Wind" and "NOVAS" programs, the California Academy of Sciences youth programs, the Exploratorium's "High School Explainers" program, Chabot Space & Science Center's "Galaxy Explorers" program, and the Oakland Zoo's "Teen Wild Guides" program. 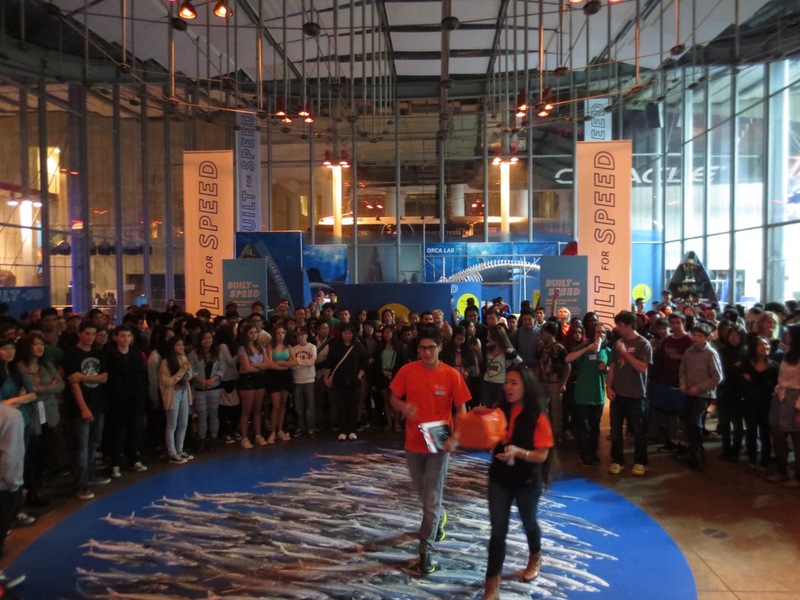 The Cal Academy's Teen Science Night was the most ambitious to date. Taking place in the entire public floor (with the exception of the planetarium), the event had more than 100 youth volunteers and staff working together to run the event. Youth gave science talks, presented digital dome shows, danced in flashmobs, conducted experiments, led games, and more all through the night. We had not idea what to expect when we began organizing Teen Science Night. Would we have 300 kids or 3,000? What sorts of teens would show up? What kind of programming would teens be interested in? As we got close to start time, and I saw hundreds and hundreds of teens gathering outside the front entrance of the Academy, I knew that it was going to be an amazing night. 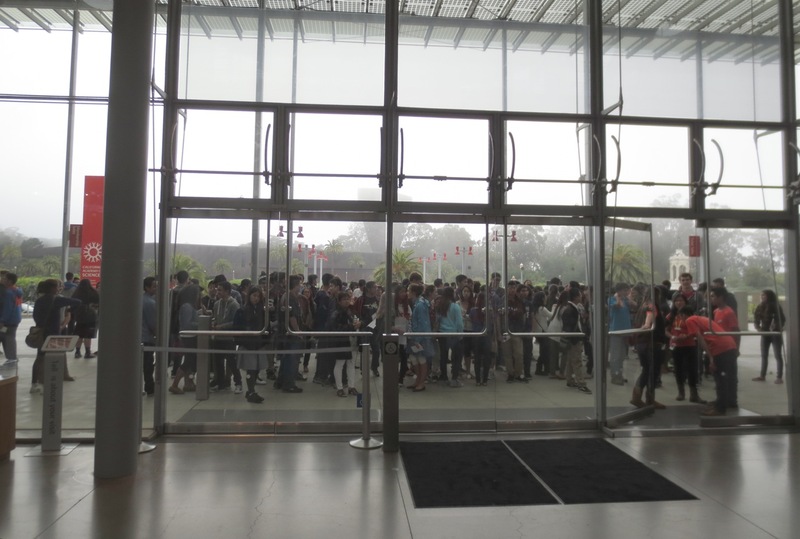 Here's what the entrance to the Academy looked like at precisely 6:30pm when the doors open for the teens. It was awesome seeing hundreds of teens interested in science clamoring to get into the Academy! 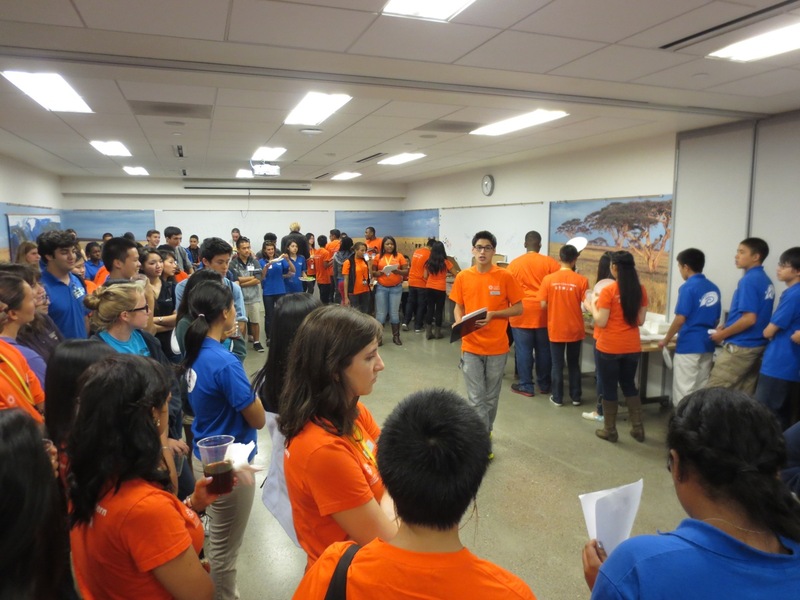 Equally great was seeing the Cal Academy staff and youth pull together to make sure that the evening ran smoothly. This was a great example of what happens when you "expect the best and prepare for the worst." We had our Guest Experiences and Security teams deployed strategically throughout the Academy, along with Youth Programs and other education staff helping out. But really we were there just to assist our own youth leaders who did the lions share of the work putting on the event, including registration, scheduling, table staffing, and almost every other aspect of the night. Here's the manager of the Careers in Science intern program Neal Ramus briefing our youth organizers. Our digital learning teens did an amazing job presenting their astronomy digital dome shows in our forum. We had originally planned on them delivering six shows to the participants, and ended up doing nine, with a total attendance of more than 500 viewers! And we had to turn teenagers away because the dome was full and we were out of time. Meanwhile , our TASC Force teens did triple duty, staffing our Tidepool exhibit, leading an earthquake-themed game with our visitors, and performing their human evolution flashmob. It was a fantastic evening that went well beyond our expectations. Our youth leaders at the Academy again just blew me away with their maturity, vision, and energy to pull of this ground-breaking event. For info on future teen science activities in the Bay Area, see the BATS Facebook page and the Cal Academy's youth programs portal.